Major leaders in the italian political scene, since the beginning of the Republic. How long has each career lasted? How long have been current leaders in charge? 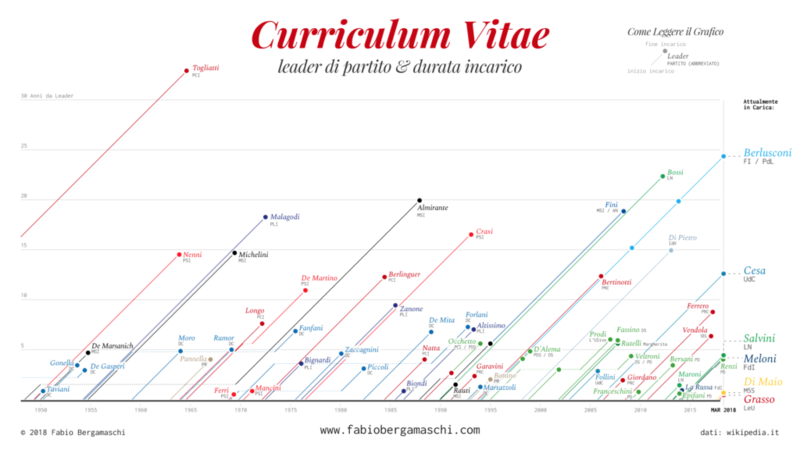 Were political leaders’ careers lasting differently in past? The answers visualized in a Lexis Diagram, a simple and effective visual representation usually employed in demographics and particularly useful to compare durations of events occurring asynchronously.